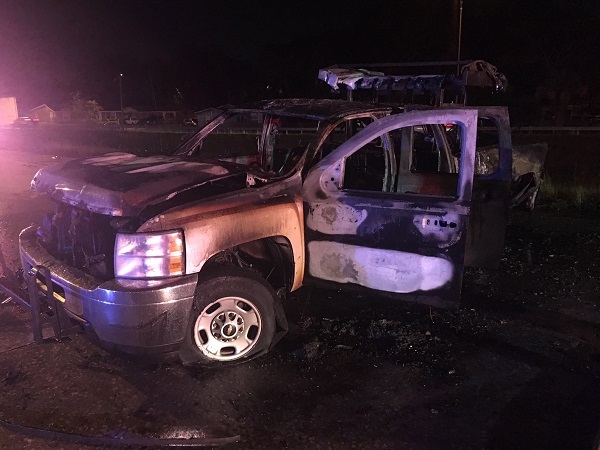 The other driver, a Road Ranger, was seriously injured, the Florida Highway Patrol said. 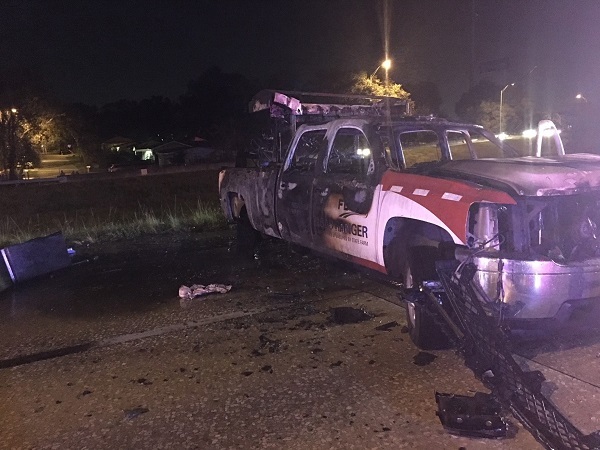 HILLSBOROUGH COUNTY – A Road Ranger was seriously injured in a fiery crash early this morning (Oct. 21), according to the Florida Highway Patrol. Brian Nelson Barrett, 42, of Wimauma, was taken to Tampa General Hospital. He is with the Florida Department of Highways and Public Transportation’s Road Ranger program, a service that provides free highway help for civilian drivers and first responders. 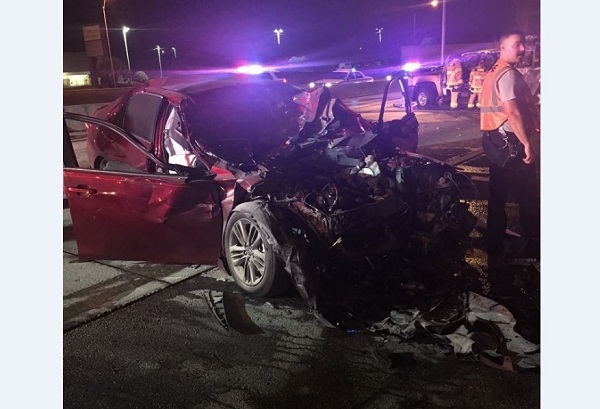 The other driver, Eldy Cartaya Dominguez, 32, of Tampa, was arrested and charged with one count each of driving under the influence-injury and DUI-property damage. He suffered minor injuries but was not taken to a hospital. 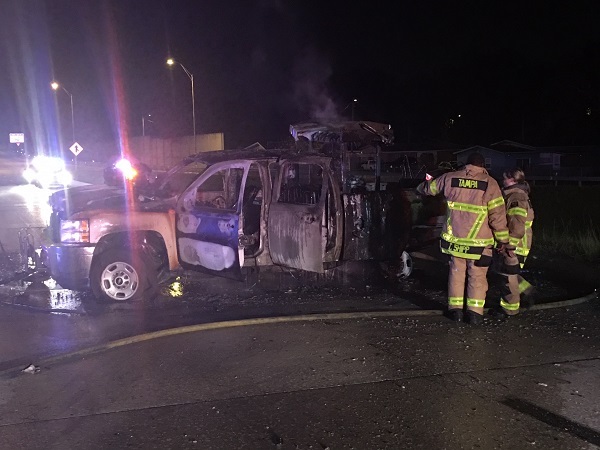 The crash happened about 3:15 a.m. in the outside lane of northbond I-275 near Busch Boulevard. Troopers said Dominguez, who was driving a 2017 Toyota Camry, overtook Barrett, who was driving a 2014 Chevrolet marked Road Ranger pickup truck. The Camry rear ended the Chevrolet and both exploded into flames. The crash closed portions of the roadway until 6 a.m.